Believe it or not, there are posts on Elsie Pop that aren't entirely crochet-related! But here, you won't find any - this category is crochet through and through! 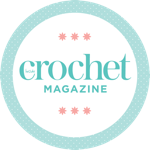 Crochet blankets – my guilty pleasure! The week of many yarn crafts!